same diameter. To guarantee such standards, Leica has developed its own high aperture interferometers with video monitor displays. Centering accuracy requires the regrinding of the periphery of each work piece after its true center of curvature has been determined. Later, when the element is assembled into a system of lenses, these must again be accurately centered so that all of the elements have one common axis. As of late, some manufacturers have offered lenses with aspheric surfaces which can greatly improve lens performance by virtually eliminating spherical aberration. However, there are two distinctively different approaches in the manufacture of these elements. An inexpensive method is to produce a “conventional” spherical element and sandwich it with a thin aspheric surface element. These are made of precision molded acrylic. However, this method, originally developed by Zeiss, was ultimately discarded by them because it could not approach their quality standards. The main cause was the fact that even the clearest plastics, like acrylics, consist of very large molecules. Light, when transmitting, literally will scatter off these molecules, being diffused, which ultimately has adverse effects on lens performance. Leica, for example uses an entirely different approach. They use computer controlled automatic grinding and polishing of the glass elements which require the adherence to extremely tight tolerances. Unfortunately such production methods can only be achieved at considerable expense. Finished lens elements must undergo rigorous ultrasonic cleaning before they are ready for their thin film coatings which reduce reflections, thus increasing the effective light transmission of the lens as well as avoiding the deteriorating effects of internal reflections. Some manufacturers tailor the coatings exactly to the requirements of the individual glass elements so as to produce a uniform color transmission plus the best possible freedom from reflections. If one considers the tremendous variety of different optical glasses that are used, it is easy to understand that no indiscriminate use of multicoating cannot provide optimum results. Finally, the choice of materials used to make a lens can also influence final performance. Focusing mounts for example, ideally will be threaded and made one part of aluminum and the other of brass. This requires a minimum of lubricants and assures precise focusing without backlash for years to come. No plastic derived focusing mount can come close. Ball baring diaphragm movements are inevitably more expensive, but they will assure accurate exposure settings of a much higher degree of accuracy than cheaper counterparts. The diaphragm leaves in the Leica R lenses for instance are spring loaded to open and close at very high speed and they are tested to reproduce the same aperture diameter 100,000 times and over a temperature range of -25˚C to 60˚C. The closing path is about twice as long as with other manufacturers . This is to assure the accuracy of the mechanism when small f-stops are used. The auto aperture lenses will reproduce the same aperture time after time to a tolerance of 1/8 of a stop. Despite the longer travel, Leica lenses will close from full to minimum aperture within 40 milliseconds without any significant rebound at the end of the cycle. Most cameras and lenses on the market today are mass produced. However, mass production, as good as it may be, will never approach the overall precision and accuracy of the bench made process as applied by manufacturers like Leica, Hasselblad, Rollei and Zeiss for instance. In theory mass production will maintain a high quality level from item to item if periodic samples, when tested, do not deviate from the ideal within standards set by the manufacturer. However, with bench made production tighter tolerances can be achieved and each individual item and assembly step can be continually tested. Only that gives the assurance of true accuracy. Unfortunately, this is also very expensive. Unfortunately it is impossible to include all criteria that may influence the performance of a lens. Aberrations ike astigmatism, coma, curvature of field, barrel and pincushion distortion all need to be controlled. Any residual aberrations of the above will adversely influence the performance of a lens. However, these aberrations can be controlled quite well and therefore will not be taken into consideration in this article. Very important, and rarely fully corrected are chromatic aberrations. White light is actually a mixture of all the spectral colors and the image of a white object should appear perfectly white, without any color fringing at the edges. When transmitted through a single element lens, white light unfortunately does not come into focus at a common point or plane. Instead it is broken up into the various colors of the spectrum, the so called rainbow colors, all of which come into focus at different points. Blue will focus closest to the lens while red will be focused furthest from it. If we can, for a moment, imagine only the red, green and blue images of the same white object, we would have a perfect image only if all of these three images came into the same focus and all three colored images were exactly the same size. This is only possible in theory. In addition we must also consider ultraviolet and infrared. Even though invisible to the human eye, some photographic emulsions and specialty digital sensors are sensitive to these wavelengths as well and the lens designer therefore must take them into consideration depending on the intended use of the lens. Considering the difficulties to bring all the colors of the visible spectrum into a common point of focus, it stands to reason that ultraviolet (UV) and infrared (IR) usually cannot be included at all. It is however the case that most black and white films and some specialty digital sensors have a certain sensitivity to UV light. If a large enough amount were to reach the film or sensor, the resulting image would be partially out of focus unless the lens is corrected for UV light. This is the very reason why UV filters are important on a variety of lenses. They will absorb UV light and subsequently avoid any image degrading UV exposure. Filters, however, regardless of how well they are made, unfortunately do influence the photographic image adversely. Lens performance is slightly diminished and due to the introduction of two more glass air surfaces the possibility of internal reflections and flare are much greater. Therefore some lens manufacturers design their lenses such that they will not transmit any UV light. All the lenses for the Leica cameras for instance use a special UV absorbing material, Absorban, to cement the various lens elements together. In lenses without cemented elements, this is assured vial different means. The result is better lens performance without the necessity of a UV filter. In practical applications this works quite well, regardless if film or digital cameras are used. A point source like a point of light, would be recorded as a true point of light only if focused exactly at the film or sensor plane. However, it is fortunately the case that this point can be enlarged a certain amount to an out of focus disc or circle before the human eye would detect it as a disc or circle rather than a point. This is also the very reason why lenses display a certain depth of field, even though they can truly be focused only at one certain distance. The very same happens at the well defined edges of the lens diaphragm. A point source of light therefore will never be quite projected as a clear point. Instead it is projected as a disc with edges not perfectly well defined. This is referred to as the airy disc and it presents the theoretical limits of resolution of a lens, also referred to as the diffraction limit. It is also the case that the effects of diffraction on the overall image quality increases with the decrease of the physical diameter of the diaphragm opening. Therefore a large lens opening will show less image degradation due to diffraction compared to a smaller one. This is formulated for the average wave length of visible light of 589 nanometers with R being the resolution and f-no the aperture setting of the lens. This applies only to light entering the lens along the axis. Light entering the lens off axis unfortunately complicates matters to the extent that we must refrain from it here to keep this article from becoming too complicated. It was recognized that the resolution of a lens is limited in part due to a lack of correction of secondary colors. Because the light refracting properties of available optical glasses, most lenses can only bring two wavelengths to a common focus. The optical designer must choose these wavelengths to best suit the intended use of the lens. All other wavelengths are then focused in planes predetermined by the properties of the glasses over which the designer has no control. Most camera manufacturers apply less stringent tolerances. The industry average standard is 1/1000 of an inch, with a few manufacturers like Canon, Nikon and Contax going to 1/1250 or 1/1500 of an inch. Leica cameras on the other hand continue to be made to tolerances of 1/2500 of an inch or more precisely 1/100 of a millimeter. Tolerances applied for the manufacture of lenses often need to be much smaller. Starting with the optical glass, Leica applies a standard of ±0.0002% for the accuracy of the refractive index. This compares to the international standard of ±0.001%. 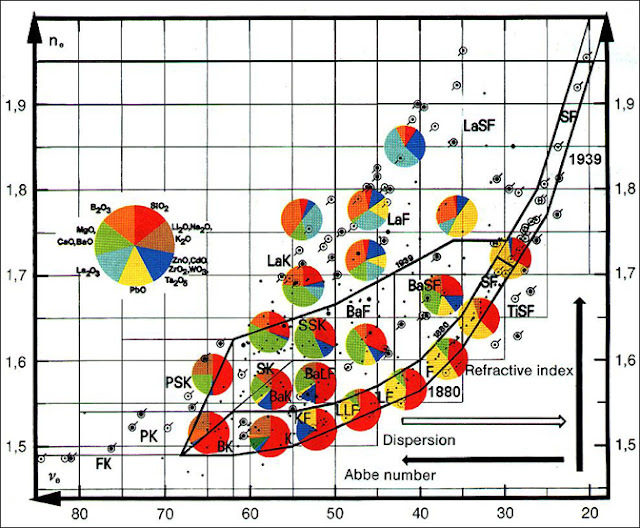 The accuracy of the Abbe number, the measure for dispersion is ±0.2% for Leica compared to ±0.8% internationally. For the manufacture of individual lens elements Leica allows production tolerance of no more than ¼ lambda or ¼ of the average wavelength of light which corresponds to approximately 0.00015mm. In comparison, the tolerances applied by Minolta, for instance, are ½ lambda or 0.0003mm. The resolving power of a lens-film combination is not fixed by the film alone, but by both the lens and the film. If the light and dark areas were white and ever lighter shades of gray instead if black, with the same decrease in size, it stands to reason that the point where the gray bars can not be distinguished anymore will be reached much sooner, therefore rendering seemingly lower resolution figures. 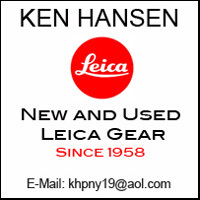 About LHSA-The International Leica Society is a non-profit organization of over 1,000 members dedicated to the appreciation, use and study of LEICA photographic products, their history, and the people that have made LEICA what it is today. Company Overview A non-profit organization of over 1,000 members dedicated to the appreciation, use and study of LEICA photographic products, their history, and the people that have made LEICA what it is today. We have an annual Fall Members' Meeting and an annual Spring Photo Shoot at interesting locations around the world. Mission Bringing together LEICA owners, photographers, historians, collectors, and ANYONE* with an interest in sharing good times and information about the cameras we love. *NO NEED TO BE A LEICA OWNER TO JOIN THE SOCIETY! Products Our quarterly members' journal: THE VIEWFINDER. The next annual meeting of the Leica Historical Society of America will be on October 2-7, 2012 in Portland, Maine. We carefully checked. The typos are definitely not ours. The principal specifications for optical glasses are its light bending power, or refractive index, for different wavelengths or colors of light and its dispersion, the difference in refractive index for certain wavelengths. All of us have seen dispersion of light in form of a rainbow from light shining through a prism and being separated in the spectral colors. Dispersion is one of the most difficult problems to deal with in designing photographic lenses. Dispersion will introduce chromatic aberration which, when not controlled, will lead to poor sharpness and loss of detail. The best optical glasses available today display very high refractive indices with relatively low dispersion. Within the last twenty years some glass manufacturers have succeeded in producing glasses with a peculiar property called anomalous partial dispersion, first pioneered by Leitz thirty years ago. Such glasses provide the lens designer with new and powerful means to improve the color correction of chromatic aberrations of camera lenses. Prior to the availability of glasses with anomalous partial dispersion some manufacturers used calcium fluorite crystals for the manufacture of lens elements in telephoto lenses. Especially Canon was making wide use of this. Other manufacturers, however, do not regard them a suitable for photographic lenses because they have very poor shape retention and because their refractive index is only ne1.43. Because of this relatively low refractive index, lens elements made of calcium fluorite require very strong curvatures. This has the disadvantage of increasing spherical aberration and causing substantially more surface reflections. The large, circled dots indicate glasses used in Leitz lenses today, the small circled dots indicate Leitz glasses not currently in use. The plain dots indicate glasses from other manufacturers.